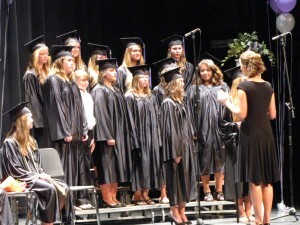 The Roger Bacon Academy’s Charter Day School held the commencement ceremony of the Middle School Class of 2011 on Wednesday, June 8, 2011 at six o’clock in the evening at the University of North Carolina at Wilmington’s Kenan Auditorium. 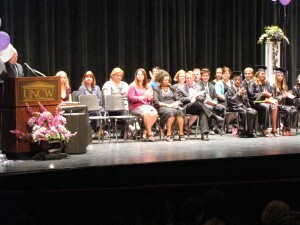 Proud parents, graduating students, faculty and staff took time to honor the accomplishments of these graduates. Tom Miller, Middle School Director officiated the event and was joined on stage by Superintendent Mark Cramer and Principal Jennifer Beamer. Highlights included performances by the Middle School chorus and a moving keynote speech by Eunice King a long time RBA employee and career teacher in the field of education. 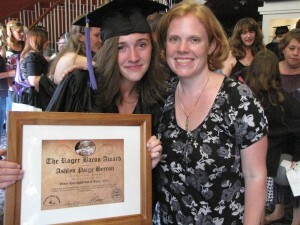 The Roger Bacon award, which is the highest honor given by the school was awarded to Ashlyn Herron. A unique award called the Ironman Award, for perfect attendance the entire school career, was awarded to Jonathan Smith. Teacher Will Fassbender mentioned in class that it was his life long dream to have a PEZ dispenser with his likeness. 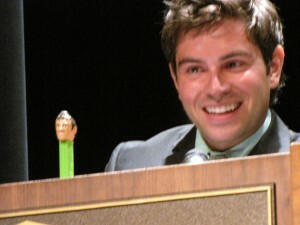 Charter Day School graduates obliged and awarded him a custom Pez Dispenser with his likeness at the Middle School graduation ceremony. We are proud of all the graduates of the Charter Day School Middle School and wish them all the best life has to offer in their bright futures.